Can't connect with your protagonist? Award-winning author Zoraida Córdova will outline her own methods and worksheets, and detail step-by-step character development, in this two-week workshop. You’ve got the idea, a plot, a setting... but when it comes to your protagonist, you can’t seem to connect. How can you create characters that stick with you long after you’ve turned the last page? Zoraida Córdova, award-winning author of urban fantasy and romance novels will give a crash-course on how writing in the YA genre has influenced her other works. In this two-week course, she’ll outline her own methods and worksheets and detail step-by-step character development. 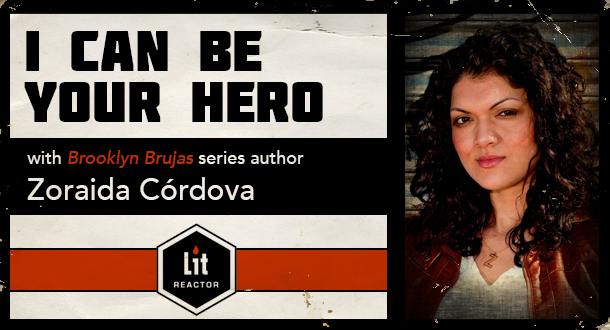 Zoraida Córdova is the author of the Vicious Deep trilogy, the Brooklyn Brujas series, and the upcoming Hollow Crown. Her short fiction has appeared in the New York Times bestselling anthology, Star Wars: From a Certain Point of View, and Toil & Trouble: 16 Tales of Women and Witchcraft. She is a New Yorker at heart and is currently working on her next novel. This is an introductory class to character, but all skill levels and all genres are welcome. Week 1: What’s Your Name, Man? Week one will focus on creating new characters (or developing already existing ones) using Zoraida’s personal worksheets. There will be a lot of introspective and self-reflection happening here, but she will work personally on asking even the most minute of details. Week two will place the characters back into the story or novel and compare how the character development has changed from the previous week. How does this new character function within the setting and plot? *Each week will include writing assignments and discussion opportunties, both with Zoraida and with the other students in the class.